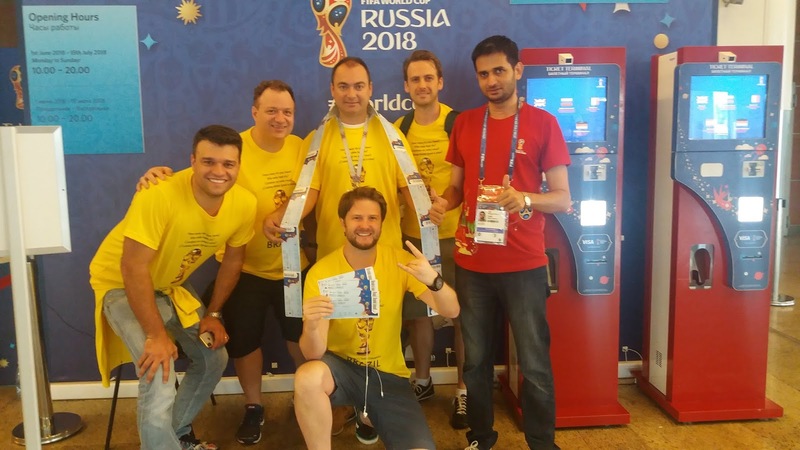 Somewhere in the mid of 2016 I saw an online link which took me to a website which was looking for volunteers for the upcoming 2018 football world cup in Russia. The site was linked to the official fifa website, so I knew it was genuine. I also searched and watched videos of volunteer experiences of the previous world cups, so I instantly knew it would be a great opportunity. 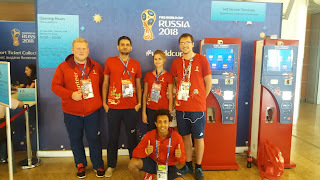 I went thru the website and read the various parts and functions in which fifa was looking for volunteers, and was encouraging international volunteers to apply. I had similar experience in cricket matches that were being held in Pakistan and other similar events and I thought this would be a great opportunity for me to be part of an international sporting event. 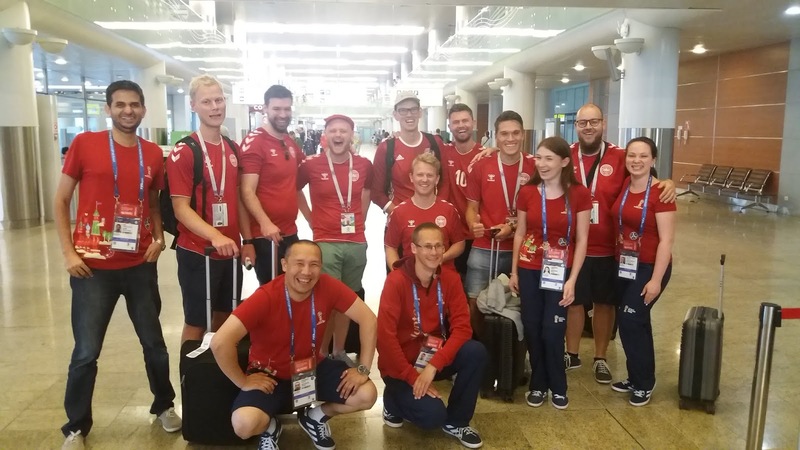 The idea of visiting Russia and being part of a global sporting event was enticing. So I applied online. Though it was just 2016 and world cup was to be held in 2018, I knew it would be a long and waiting process, as was also mentioned on the website that the final decision will be communicated by March 2018. In December 2016, I received an invitation for an online English language test. The test was online with instant online result. I was informed instantly that I have passed the test. This was the first step and the first barrier passed to being a volunteer. Then again there was a long silence and there was no update or any news about the next step. I knew I had to be patient. Then in October 2017, I was invited for an online Skype interview. The interview lasted about 30 minutes but was intensive and tough. The questions were mainly related to working in team, groups, leadership qualities, decision making and flexibility in attitude and duties. I wish i had recorded the interview. It was one of the toughest interviews I have come across. Once again there was no news about the result of my interview but I was confident that I will be selected. In January 2018, I received an informal email informing me that I have been selected as a volunteer and they wanted my decision and willingness, If I was still interested to participate. I was also informed that I will have to arrange my own air ticket but they will try to provide accommodation which was still not guaranteed. Visiting Russia was always a dream of mine and I instantly replied, YES. Finally in March 2018 I received an official email from FIFA confirming my selection as a volunteer for the FIFA World Cup 2018 in Russia. I was selected as a ticketing assistant. I instantly accepted the job. Few days later, I received an email containing accreditation confirmation from FIFA. I was told to apply for the Russian Visa, which I did at my Local Consulate in Karachi. Russian Consulate gave me the visa on the spot.That was a great surprise. They took the documents along with the accredition letter, checked their system and issued the visa on the spot. Later, I was informed about my shift schedule. 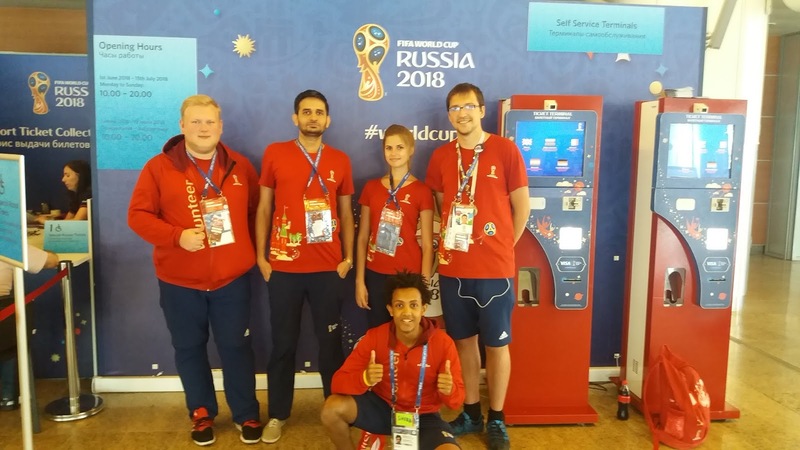 I was placed at one of the airports in Moscow as a ticketing assistant and was to help the visitors in getting their tickets from the ticket kiosk or the counter. I booked my flight tickets and was on my way to Russia. 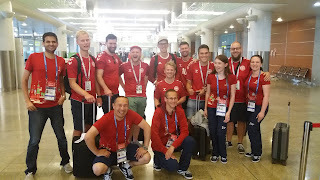 Finally after a wait of two years I was on my way to Russia. A Dream come true. I arrived at Vnukovo International airport, one of three international airports in Moscow. After passing immigration and customs, I bought a mobile phone sim from the airport. The sim had unlimited data plan which was essential in modern day travelling. I converted currency into Russian rubble and headed towards my designated hotel, which was provided by fifa. 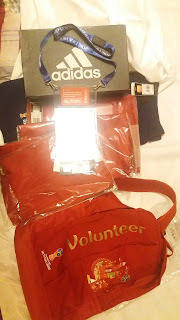 After checking-in the hotel, I headed towards the Luzhinki stadium to collected my accreditation pass along with my Volunteer Uniform. Once I collected my Accredition Pass, I then went to the Volunteer Center to collect a beautiful volunteer uniform and a metro travel card which was valid on all types of public transport in Moscow. From next day I headed towards my designated duty location, which was at Airport where I was posted as a ticketing assistant and was mainly helping international visitors in collecting their booked tickets. During my 2 week volunteer assignment I met people from almost every part of the world from Brazil to Japan to America to Australia. Team of Local and International Volunteers. Helping happy fans in collecting their tickets. Helping Fans from Brazil with the Tickets. The job was decently easy, as all was required was to help the visitor in getting their tickets printed from the self service kiosk or if there is any problem I would guide them to the the ticket counter where a person would assist them in getting their tickets. The shift timings would either be from 10 am - 3 pm or 3 pm - 8 pm and at times I would do two shifts in a row to cover up my shift target. FIFA do not give you a shift target but as i was informed you have to cover at least 20 shifts or similar. As a volunteer I was given a transport card which was valid on all forms of public transportation in moscow. The card was very helpful in reaching my duty and to roam the city after the shifts. The card was valid on metro, bus, aeroexpress and electric trains. After my shifts, I would roam around the city. Moscow is a classy city with rich history and architecture. Even its metro stations are a piece of art and architecture. The city is calm with lots of historical places, lush parks, places of worship and museums and tours. There are regular boat tours on the Moscow river which are not to be missed. The special mention is the Red Square, which is the hub of all the tourist activity and a must visit place in Moscow. The city was filled with happy fans who were there to watch and support their teams. At night the main city center would come to life with fans chanting for their team and supporting them. 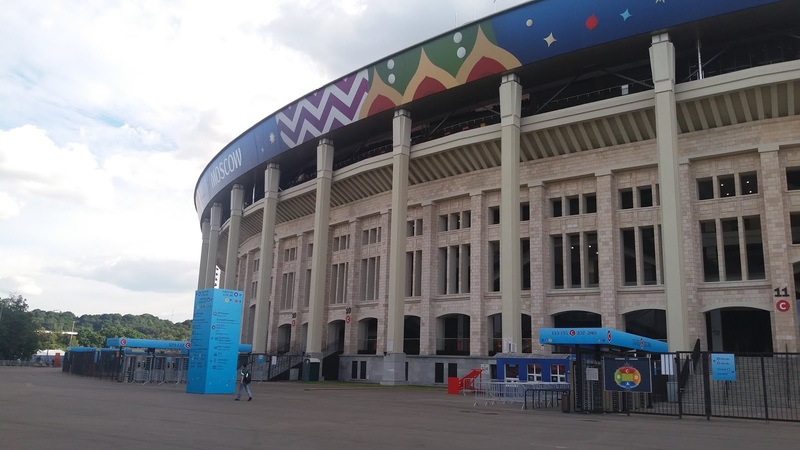 Russian government had set up special fan zones to watch the match on the big screen and some unofficial area where fans would flock at night to celebrate their teams’ win. The topping of the trip was the night when Russia reached quarter finals. It was crazy celebration all around Moscow with people filling in the streets and chanting slogans for the Russian team and partying late into the night. That night the city came to a stand-still. After my two weeks stint as a volunteer, I headed back to my country. My experience of volunteering in Russia is now a special memory of my life which will be cherished and remembered forever.